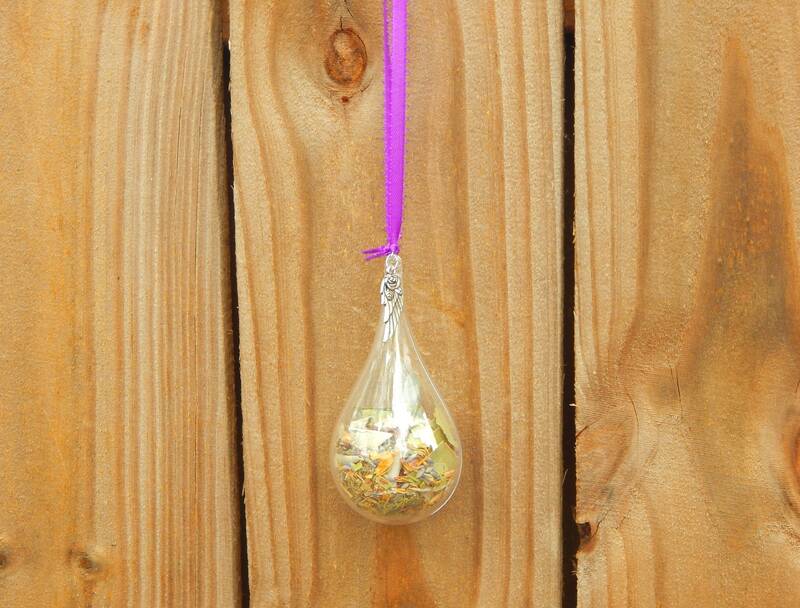 A personalized 'Witches' Ball' crafted within an elegant drop shaped plastic ornament. Folklore states the Witches' Ball is a traditional object often hung in an east facing window or by the front door, and said to be used to eliminate negativity from one's surroundings, when filled with corresponding protective herbs, stones and objects. If the ball falls without apparent cause, it is stated this is because it has saved the individual or household from harm or psychic attack and then should be replaced. Many traditionalists, rootworkers, empaths, sensitives and practitioners use these in their every day practice to ensure the positive energy remains intact within their dwellings. 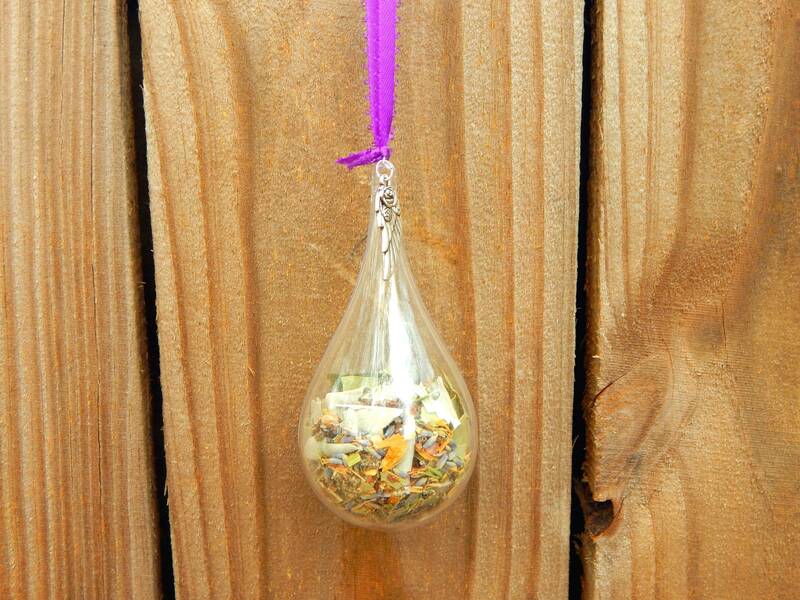 You will receive one reusable plastic ornament (110 ml) filled with my personal recipe 19 herb ultimate protection blend, along with gemstones and other curio objects. 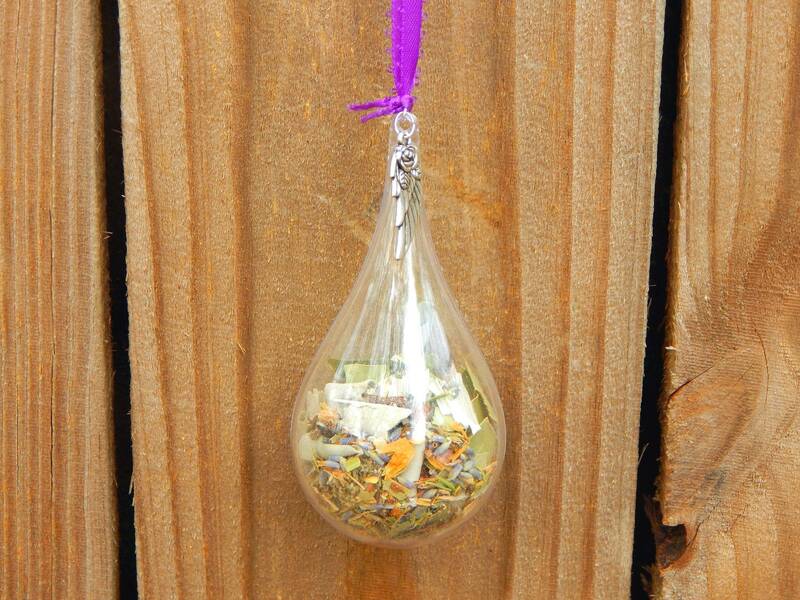 Each witch ball will have an attached ribbon and charm of your choosing (see options menu or add in notes to seller). I will also include instructions and one incense cone. Historically, Witch Balls have been around for over 600 years. They were first molded into sloppy spherical shapes in the Medieval times to ward off witches, goblins, and evil spirits. During Victorian times, Witch Balls were molded in a more refined shape and used higher quality glass and were displayed to declare prestige and wealth. The legend was discussed but regarded more as a superstition. 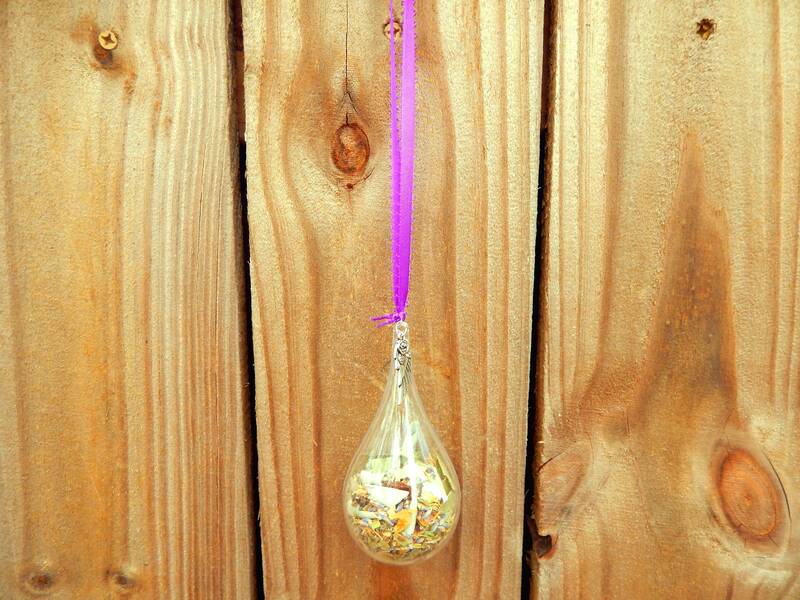 Today, Witch Balls have become perfected in their shape and variety of colors to display beautifully as artwork or decorations, the belief of their magic and the true legend behind them is left for you to decide! Smaller in size than I thought, doesn’t handle wind goodoutside.. Thank you for creating this marvelous witch's ball! It looks so great hanging in the window, and I love that when my daughter inevitably asks me to get it down so she can take a closer look that I can do so and have no fear whatsoever that she could break it and hurt herself. Thank you for all of the wonderful things you make and offer to the world!